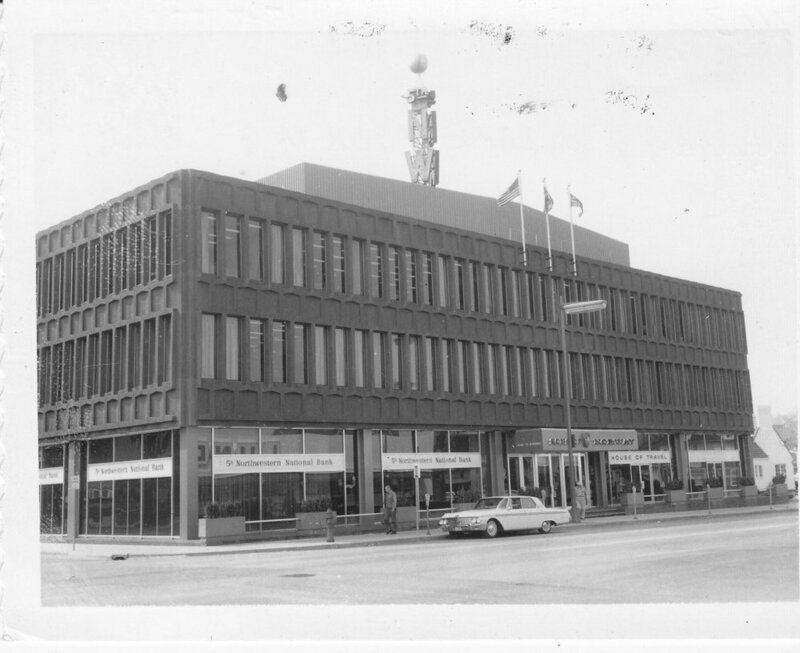 In the spring of 1962 amid great fanfare, the Minneapolis-based fraternal organization Sons of Norway opened its gleaming new international headquarters and cultural center at 1455 West Lake Street in South Minneapolis. The $1.25 million building stood as a landmark to Nordic heritage for more than 50 years and is now scheduled for demolition in the fall of 2017. Since its founding in 1895 in Minneapolis by 16 men of Norwegian descent, Sons of Norway – with its mission of promoting and preserving the heritage and culture of Norway in the U.S. and Canada – had grown its worldwide membership to more than 100,000 by the 1950s. The organization desperately needed more space, and in 1960 – following months of secrecy – the Sons of Norway announced plans for “a new center for culture and activity” in the pages of its membership magazine, The Viking. The building’s interior spaces were similarly Nordic in style and function, the highlight being the large “Norse Room” meeting facility with imported Norwegian furniture, walnut-stained wood battens and a lighted indentation in the ceiling that simulated a “røkestue” or smoking lounge. The Sons of Norway Building became a landmark of the Uptown neighborhood and was fully occupied by the organization and its main-floor anchor tenant – Northwestern National Bank – for most of its life. By the 21st century, as the main-level bank (now Wells Fargo) vacated the property for a nearby new building, the Sons of Norway decided to sell the valuable property to developers. Although the existing building will be razed for a new residential, retail and office development, the site’s Norwegian heritage will be a part of the new development. Preliminary plans show a circular tower at the corner of Humboldt and Lake that suggests Scandinavian architecture, and the design also includes a pedestrian walkway – called “The Fjord” – connecting the building with a pocket park. Once the new building is completed, Sons of Norway will move back into the building in time to celebrate the organization’s 125th anniversary in 2020.